What is Google FRP Bypass APK? 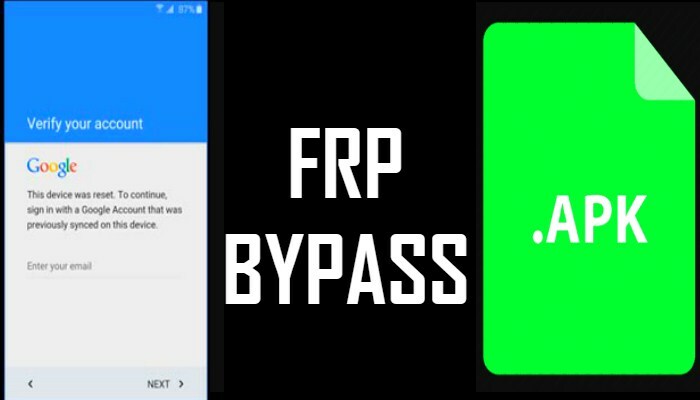 FRP bypass apk also known as FRP bypass tool is used for bypassing Google factory reset protection. 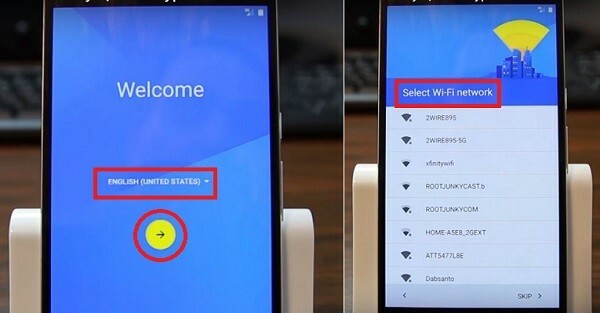 If you have forgot your google account password after factory reset, it comes useful. You can use the FRP bypass method shared in this guide to solve all your issues. In this article, we are going to share all stuff about FRP bypass apk. As you know many users are facing this problem and they want to know how to bypass google factory reset protection on their android device. Google factory reset protection is a new patch developed by Google which protects the users device in case they lost it. This tool is very useful in the time when you have factory reset your android device and you forget your Google account password. So keep reading this guide to know more about this tool and how you can use it. As mentioned earlier, Bypass factory reset protection is a a security patch which is developed by Google. It helps in protection the device in case it is stolen or lost. No one will be able to FRP bypass because you will need Google account access. FRP bypass feature was first introduced for devices like LG, Samsung and many others. No doubt it is an awesome security feaure but it creates a lot of problem if you forget account password. All the android smartphones and tablets who are running android 5.0, they come up with this security patch. 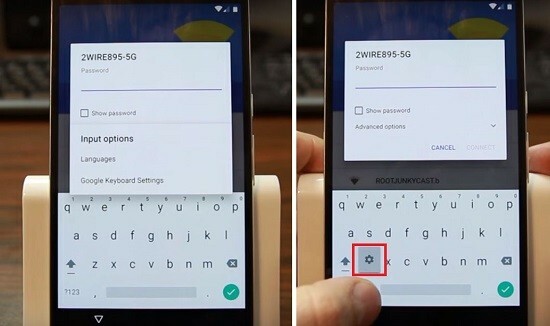 To bypass android frp lock, two guides are available. You just need to follow the simple steps for FRP Bypass. Mainly with this guide, you will be able to bypass google frp lock easily, if you have lost your device or forget account password. First of all you will need to download FRP bypass apk from our official website. You can check the download link given above. Once you have downloaded the file, copy FRP bypass apk on your USB drive. Now start your android device on which you are facing FRP issue. Next a setup wizard will open where you need to follow the basis instructions. Once the bypass factory reset protection screen appears. You will need to enter google account login credentials. But because of the reason you lost phone or don’t remember it, you will need to try something other. Now using OTG cable, you will need to connect USB pen drive to your android device. Then you will see file explorer opening on your android phone. Next open the folder on your android device where you have saved the FRP Bypass apk file. 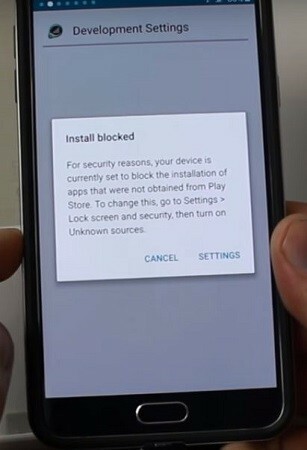 During installation process, your phone will block installation and you might see unknown source error. Simply go to your device settings and turn on unknown sources option. Now tap on installation button again to start installation process. 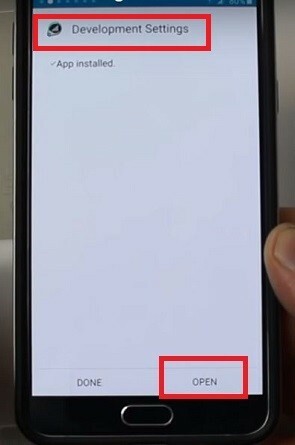 After the installation is completed, tap on open and it will open settings menu. In settings scroll down, select backup and reset option. Then tap on factory data reset and tap on confirm button. That’s it!! You have successfully bypass google factory reset protection on your android device. Now you will need to restart your device and you won’t face FRP bypass issue anymore. After restarting your device, its your choice to add google account or skip it. Android device running Lollipop or above android version. Working internet connection for downloading the required files. First you need to turn on your android device. You will see a setup wizard. Follow the on screen instructions, once you see FRP bypass tool screen shows. You will need to open your keyboard and tap on its settings. Next you need tot ap on menu button and then help and feedback button. 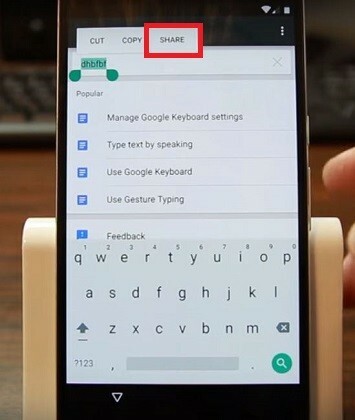 Next you need to type whatever you want to write and choose “share” option. After that choose messaging option, then new message and type any number in “To” section. Next choose it and tap on contacts icon. Now tap on usage statistics option and tap on back button. You will then go to settings menu. Then you will need to tap on backup and reset option. Select factory data reset and confirm it. That’s it guys!! You have successfully bypass google account verification using FRP bypass tool. The screenshots of this guide are attached so that it will be easier for you to follow these steps. Hope these two methods helped you to clear your doubts on how to bypass google factory reset protection. First you need to download the tool from here. After that unzip and install it. Next you will have to pick your samsung device and hold home button, power button and volume button keys. Then you will get notification of system software upgrade. For going to software updates option, you will have to hold volume up key. Now open Odin 3 tool and connect you samsung device with your PC. Once your device gets automatically detected, then you will need to select the zip files from file you downloaded above. Next tap on start button and device software version upgrade starts. Once the process finishes, you need to disconnect your device and reboot it. One thing to keep in mind, let your system upgrade install the necessary stuff so wait for few minutes. Using this method, you will be able to unblock bypass factory reset protection lock. That’s it!! Now your custom binary frp lock problem is fully fixed. Also lets take a look at all the FRP bypass methods available to bypass factory reset protection. FRP bypass Apk is free or paid? Well this app is completely free to use, you don’t need to pay extra bucks for using it. No subscription fees or charge gets applied. 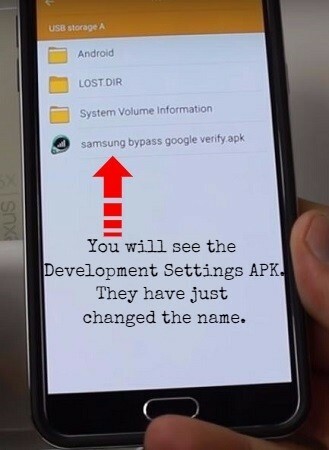 FRP bypass apk can be used on samsung devices only or all android devices? You can use FRP android app on all android devices, it is not limited to samsung devices only. As the app is compatible with most of android devices so it might work on your device as well. Can I use FR bypass apk, Is it safe? Yes, this app is completely free and safe. So you don’t need to worry while using it. For FRP apk installation, do i need a high android device or not? Nope, no high end device is needed because system requirements for this app are very low. So this app will work on low end devices as well.In this detailed guide, we covered all things about FRP Bypass and and different methods you can use. You can also use the FRP bypass tool for your android device to fix the problem. So download FRP bypass apk right now and get rid of factory reset protection easily. OMG thank you so much buddy it actually worked!!! worked for me. thanks for the procedure. Frp ByPass App Copyright © 2019.